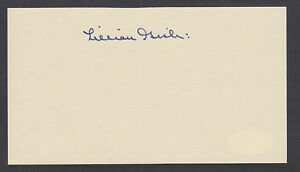 Details about Lillian Gish, American film and stage actress, signed 3x5½ card. JSA Cert. Lillian Gish, American film and stage actress, signed 3x5½ card. JSA Cert.